At Damon Huang's family home in Shakou, a small town in southern China, it's not uncommon to hear three varieties of Chinese spoken throughout the day. "I will use Mandarin in some formal occasions. I will use Cantonese with my friends when we have fun and we go outside. I will use Hakka with some family members," Huang said over a long holiday weekend at home in Shakou. Huang, 21, left his agricultural town in middle school to study in the county seat and is now a university student in Guangzhou, one of southern China's many megacities. While less educated, his parents have also moved onto better opportunities in the nearby industrial city of Foshan - like millions of other families from rural towns - taking his 3-year-old brother with them. Speaking Hakka is a common activity that still unites Huang with his grandparents in Shakou and his parents in Foshan, but it's also changing. When his little brother calls the family, everyone switches from Hakka to Mandarin. "My little brother, even though we live in Foshan we [try] to teach him Hakka," Huang said, "But he is not learning Hakka, he is learning Mandarin, so until now he cannot speak Hakka." The Huang family is just one example of how linguistic diversity is slowly dying in China, according to Arthur Thompson, a linguistics PhD candidate at the University of Hong Kong. Thompson is studying Huangalong with his colleagues J. Joseph Perry and Jonathan Havenhill, both assistant professors at HKU's Department of Linguistics, as part of an ongoing project on Hakka in Shakou. Hakka is spoken by 34 million people worldwide - including in Hong Kong, Taiwan and amongoverseas Chinese in Southeast Asia - and claims some of China's most famous leaders including Sun Yat-sen, the father of modern China and Hong Xiuquan, the leader of the Taiping Rebellion. Despite its historic significance, within mainland China, it is being pushed out in favor of Mandarin, the "standard" variety of Chinese originating from Beijing. Much of this change has been driven by China's dramatic rural to urban migration, which has seen hundreds of millions of people like the Huang family move from the countryside to cities like Foshan and Guangzhou over the past thirty years. Many of these migrants end up dropping their hometown or county dialect for the local standard. "That's why [Huang] has this sense that Hakka is dying because he can already see that it's not really useful outside of his family. That's even more triggered by the fact his brother, has never even grown up in Shakou at all and probably won't get any education at all in Shakou," said Thompson. "This is happening quite a lot across China. I think this model can be extrapolated, across many different Chinese languages and not specific to Hakka," he also said. 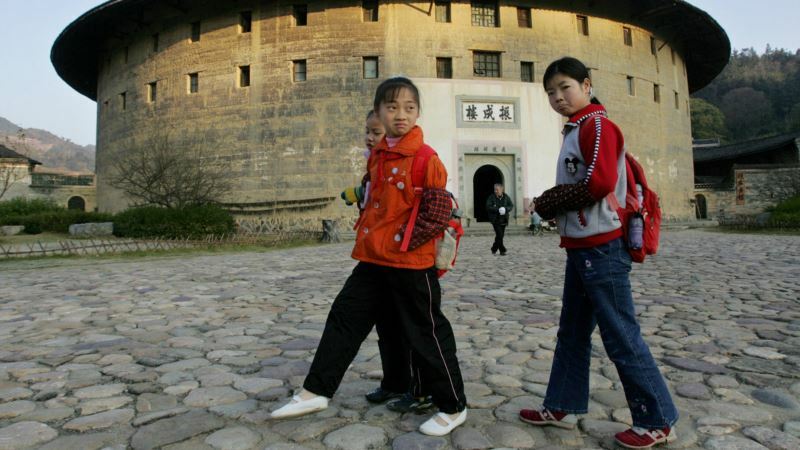 Southern China has been particularly hard hit as one of the most linguistically diverse areas of the country now turned economic and factory powerhouse. Nationwide, there are around ten major varieties of Han Chinese, according to the Linguistic Atlas of Chinese Dialects, in addition to the many languages of China's 55 ethnic minority groups. Almost all of them are on the decline. While Taiwan recently passed a law protecting minority languages like Hakka, China has not done the same beyond a limited amount of public programming on local television. It also does not recognize varieties of Chinese as official "languages," although some like Cantonese - also known as Yue - are spoken by 91 million people worldwide. Many of these "varieties" are mutually unintelligible with standard Mandarin and often have a different number of tones and vocabulary. In the contemporary era, as well, Hakka's declining presence will have important political consequences that can already be seen in Huang's Mandarin-only speaking younger brother. "That's the kind of kid the Chinese government wants: Damien's little brother, who will grow up from three speaking Mandarin fluently and have no ties to his linguistic diversity at all - and that way he will be wiped from any regional identity. He will just see himself as southern Chinese." Thompson said. Thompson said while Hakka could still be found in Guangdong, it was "only a matter of time" before younger Chinese stop speaking the languages of their parents if current trends continue.